If you want to have a green, lush lawn that is a showplace for your home, it is not enough to water your lawn, mow it regularly, and treat it for weeds. You also need to fertilize it in order for it to grow and thrive. Sharp Lawns can help you get your lawn in the best shape of its life with our customized lawn fertilization programs. If implemented properly, lawn fertilizing can make your lawn healthier and greener than it was in the years past, and your neighbors will envy your sharp looking lawn. 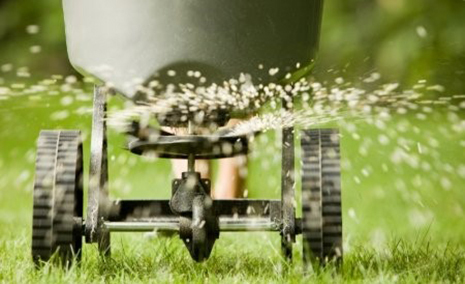 Fertilizer provides the needed nutrients in order for your lawn to grow lush and green. Without it, the grass may not grow as well, or as full. It may also not be as green as you want it to be. Fertilizing your yard is something you could try on your own, but you may not apply the product correctly, or evenly. If some areas of the lawn get more coverage than others, they will grow more than the other parts, giving your lawn a very uneven look. There is also the chance you put on too much fertilizer which can lead to a variety of issues. First is thatch buildup in your yard. The second is potential negative environmental impact of applying too much. This includes overgrowth of algae and aquatic weeds caused by the fertilizer runoff, which can hurt wildlife and the water supply in your area. 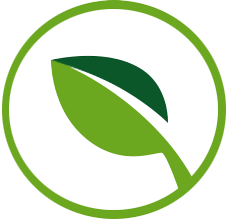 The fertilizer that our professionals apply is a slow release product, which means that your lawn will get the nutrients it needs over time, as opposed to all at once. This is an added benefit to our fertilization treatments. Are You Ready for a Naturally Beautiful Lawn? Our lawn care programs in the Youngstown and surrounding area are designed to create healthy, beautiful lawns. We utilize organic fertilizers and bio-stimulants, state of the art equipment and techniques. All technicians are Ohio State certified. The best part is, It's hassle-free. This means you can enjoy a lush lawn all year long, without having to spend your Saturday doing yard work! This is one of the first questions we hear from new customers. It's simple -- we've elected to incorporate the use of natural lawn care products to help preserve our community, maintain the well-being of your family, and provide the most effective lawn care services in the area. We're here to provide a beautiful, safe lawn for you and your family to enjoy without causing any unnecessary harm to the environment. We use Holganix, a line of all natural, organic lawn fertilizers and bio-stimulants that invigorate your grass and the soil beneath it. 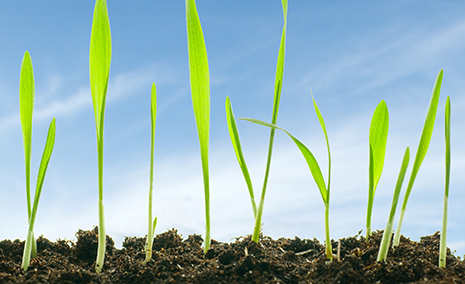 Our organic fertilizers combined with traditional fertilizers stimulate a healthy soil environment, increasing root strength for grass that naturally defeats disease, fungus, drought, and weeds. So what does this mean for you? 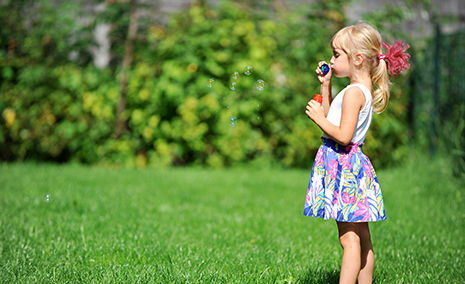 A hassle-free, lush lawn that you and your family can appreciate all season long. Treat your lawn. Invigorate it by removing plugs from the soil and letting it breath. What’s the use applying nutrients, water, and care if the soil can’t receive it? 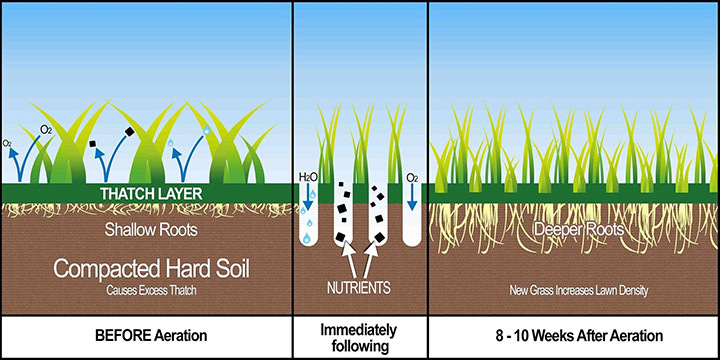 Our core aeration allows for deeper penetration of these vital elements to the root zone of your lawn. Get the most out of your lawn care and relieve your lawn from compaction and thatch so it can thrive. If you have a lawn, you’ll want to spend time in it. That’s a given. But foot traffic, and other environmental factors, can make it worn, weak, and compressed over time. How can you relieve it without causing more damage? Core aeration in Northeast Ohio breaks through thatch and removes small plugs of soil and deposits them on the surface. This means your lawn can breathe, stretch out its roots, and return to health without losing any of its existing nutrients. We aerate in the fall to allow for best results in the Youngstown area. All it takes is a single visit. One of our highly trained technicians will come to your home and consult with you about your unique concerns and needs. We will then survey your entire property to understand the level of compaction and identify highly-trafficked or browning areas that need extra attention. 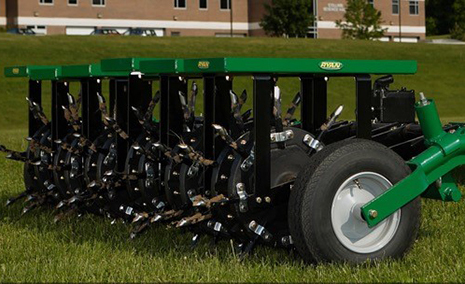 We use a powerful, professional-grade aerator that removes plugs of soil 2-3 inches deep and then places them on the surface of your turf. By removing the plugs from the ground, the roots in the soil will have greater access to nutrients and water. Because the plugs are then deposited on the surface, no nutrient is lost but is instead incorporated back into the soil as the plugs begin to break down. Our Aeration Service requires just a single visit to get your lawn breathing again. Late summer or early fall is a great time for overseeding to heal cool-season lawns that have been damaged by summer drought, diseases, lawn damaging insects or foot traffic. Cool-season grasses grow best when air temperatures are between 60 and 75 degrees Fahrenheit. 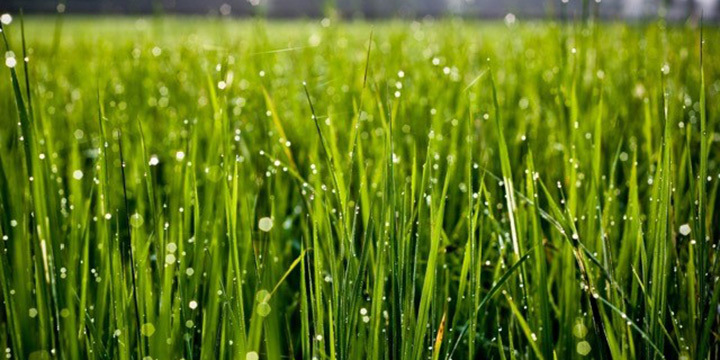 Cool-season grasses found in our lawns include Kentucky bluegrass, perennial ryegrasses and fescues. Cooler fall weather arrives earlier the further north you go, so the timing of fall overseeding depends more upon daily temperatures than it does on the calendar. A good rule of thumb is to overseed early enough in either late summer or early fall to give the turfgrass seed time to germinate and mature enough so they can survive the winter. 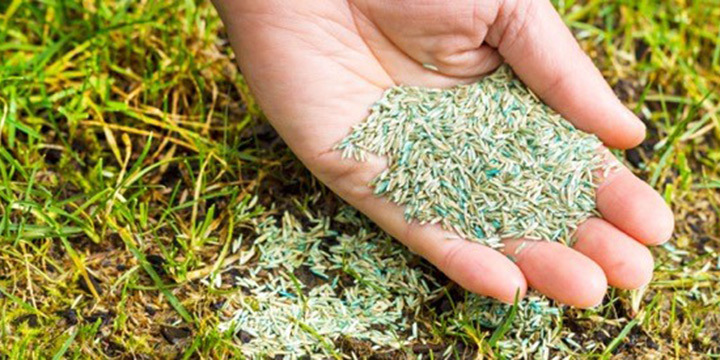 This involves selecting the best grass seed to use for fall overseeding. This requires some knowledge of the types of turfgrass so the new grass matches (as much as possible) the appearance of the lawn where it’s being seeded. Grass seed germination depends upon seed-to-soil contact, overseeding is often combined with lawn aeration, which pulls cores of soil from the lawn so that water, air and nutrients have access to the root system. The resulting holes in the soil also give the new turfgrass favorable conditions to grow and mature, assuming they receive frequent light watering and are fertilized properly. Fills in areas of turf damaged by summer stress, diseases, and damaging insects. Thickens and increases the density of thin lawns. Helps improve the lawn’s appearance. Increases the lawn’s ability to fight damaging insects and diseases.